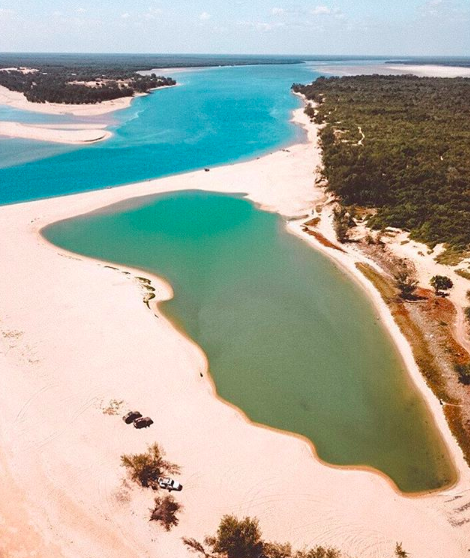 With summer inching closer each and every day, we thought we would put together a list of awesome swimming holes in Australia that you could start planning to visit this summer. If this doesn't wet your appetite (pun intended) for the oncoming Australia summer we don't know what will. 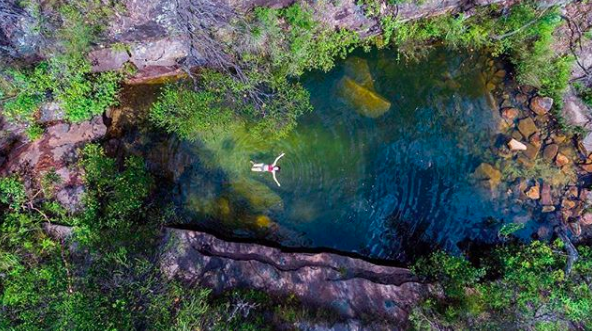 Is there anything better than taking a bit of a break from the road and cooling off in a swimming hole? Caravan and camping can be tough in hot conditions so taking a dip can be the perfect antidote. 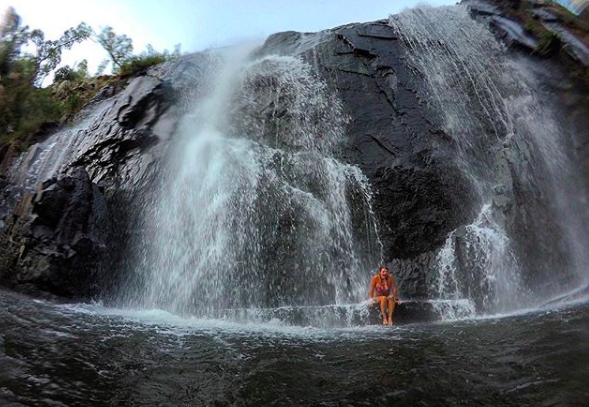 Th first swimming hole we thought of was Cedar Creek Falls which is only 30km from Airlie Beach. It a picturesque Australian waterfall with plenty of little animals to spot including lizards. If you head there after a bit of rain it is particularly vibrant. Perfect for a photo op as well as well as a number of caravan and free camping spots near. 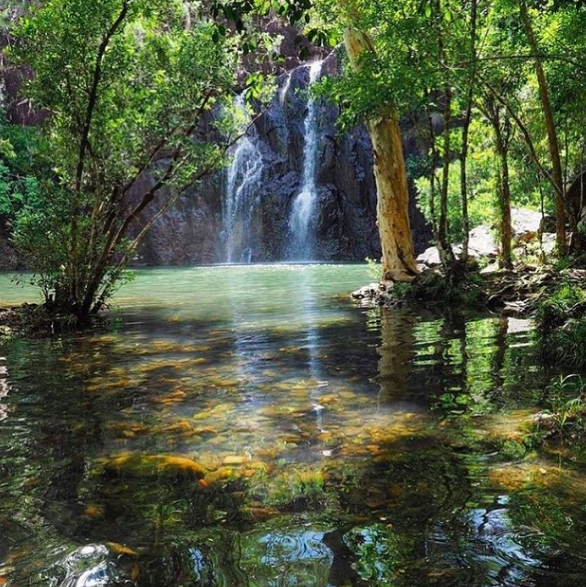 Cedar Creek Falls by @ausseagirl. Now the Emerald pool really is something special, and like all good things, it takes a bit of effort to get to. 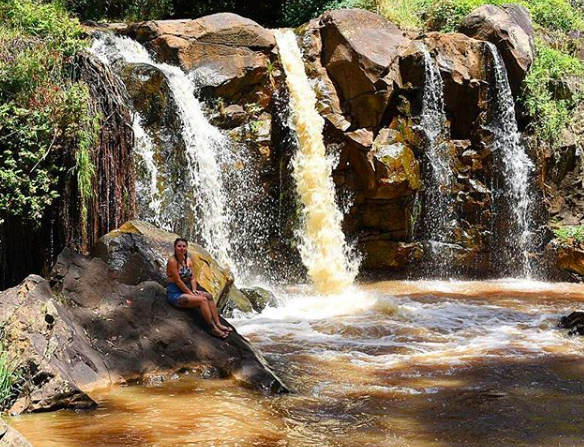 It’s in the Popran National Park and we recommend you taking a bit of water for the walk as there are some steep inclines. Make sure you plan your trip and timing is everything, best to visit after a bit of rain fall. The campsite is well catered for, has a awesome toilet block and even recycling for bottles. So we thought we would include this in the list even though swimming isn’t recommended as its an old uranium mine. Its a great piece of history to visit and it does look very appealing to swim in and people do do it. 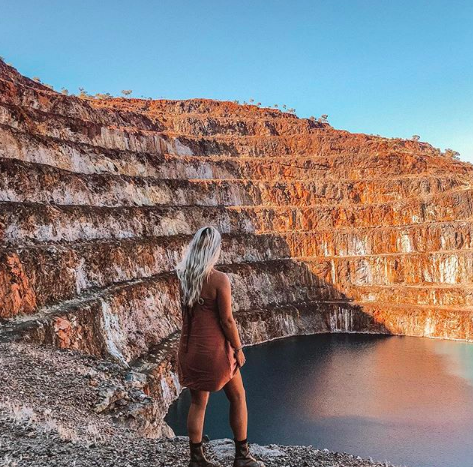 Its a short drive from Mt Isa and is ddefinitely worth checking out the dam and the old town. The mine is beautiful. You can walk up and around one of the cliffs at the back – the one with the rocks along the front. Take a map, as the phone reception isn’t the greatest. It is now a ghost town and less than a generation ago was a vibrant community and a great to visit in your RV. 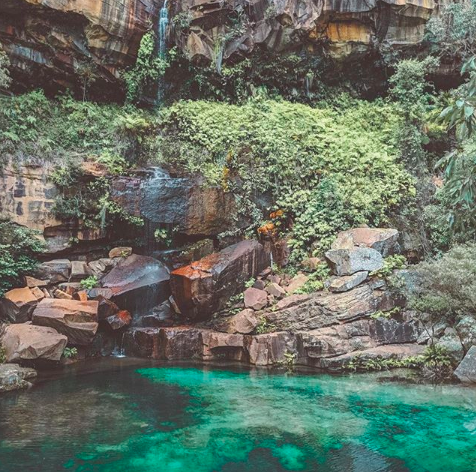 This is an absolute bucket list swimming hole and is simply amazing. You won’t find many places in the world with this sort of scenery and it will give you a few postcard photos. Spend some time on the beach camping and fishing and you won’t find a better sunset anywhere. If you want a bit of time away from other caravan and campers then this might be the spot. Beware of sharks and crocs about, they like the baby turtles running across the beach each night. 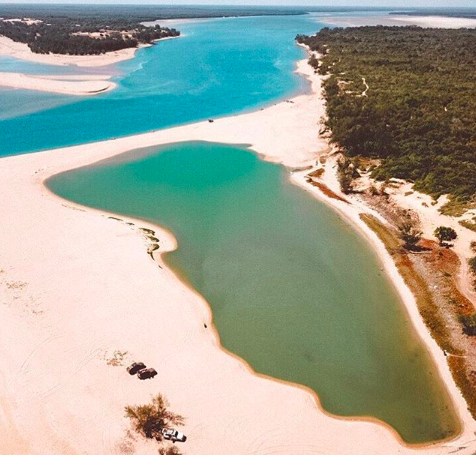 This waterhole is a real gem and a simply magical place to be. It is awesome for a visit particularly as it has an awesome campground very near. We hear the facilities are very well kept so caravanners and RV owners are happy. There are also of plenty of great walks to do. This is an awesome little swimming hole based on a farm which is easy to get to if you’re near Melbourne. It has a great area to play for the kids while you relax. It’s a hidden gem and there is plenty of caravan and motorhome camping spots near within the area. Watch out for snakes. The flow differs drastically throughout the year. Good idea to get there a bit early too to try and snap up a good photo opportunity before the crowds arrive. Good walk for kids as it’s not too rough and has well-defined paths, plenty of parking for the caravan or motorhome. Well worth a visit, the falls were bigger than we imagined. 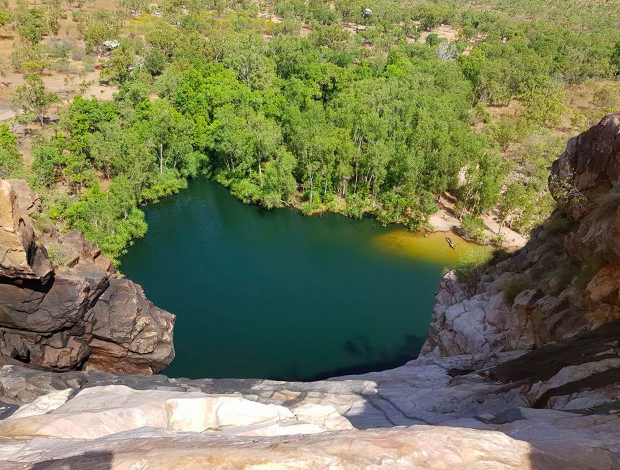 There you have it, some awesome swimming holes in Australia. Are there any more we should add to the list? Feel free to let us know and we will add it to the blog. We hope you can visit a few on your caravan and motorhome trips this summer.